Last Saturday, in an attempt to demonstrate outrage at ... at ... well, at something , some three million people across the country, mostly women, participated in women's marches. The scattershot platform for the march included public funding for contraception and abortion, equal pay, protections for illegal immigrants, anti-Israel activism and taxpayer-subsidized tampons, among other disparate causes. What united them? Hatred for the reality that Donald Trump was sworn in as president of the United States on Friday. Two contrasting images emerged from the march itself: first, people filling the streets out of pure, unadulterated but vaguely motivated frustration; second, some of the most egregiously perverse speeches and signage in modern political history. While the left celebrated the first image — isn't this a sign of a political uprising in the making? — it ignored the second image, which is far more likely to backfire than to generate enthusiasm. That second image was promulgated by celebrities like Ashley Judd, who was once considered a frontrunner for the Democratic nomination for the Senate in Kentucky. The has-been actress raged: "I am a nasty woman. ... I didn't know devils could be resurrected, but I feel Hitler in these streets. A mustache traded for a toupee. ... I am nasty like the bloodstains on my bed sheets. We don't actually choose if and when to have our periods. Believe me, if we could, some of us would. We do not like throwing away our favorite pairs of underpants. Tell me, why are pads and tampons still taxed when Viagra and Rogaine are not?" Meanwhile, thousands of women donned "p——hats," or pink knit caps with cat ears, designed to rebuke Trump for the "Access Hollywood" tape in which he said he could grab women "by the p——" and get away with it. They marched with signs reading, "Leave My P—— Alone" and "If abortion is murder then b—-jobs are cannibalism" and "This P—— Bites And She Slays." NARAL Pro-Choice America handed out signs with similar messages. This reduction of women to their constituent body parts is particularly ironic coming from the same side of the political aisle that declares that men sometimes have vaginas and that some women have penises. But more importantly, reducing female priorities to killing babies and increased funding for maxi pads merely objectifies women. Instead of recognizing that women have all sorts of political views, instead of recognizing that many women believe that they ought to be left alone by government in order to pursue their dreams, the women's marches declared that government has to treat vaginal possession with a sort of victim status, deserving of special protection. The suggestion that the government must guarantee special privileges for women because their biology makes them somehow lesser, or that abortion rights are necessary to achieve equality, reduces the fight for female equality to the fight for female sameness . That's insulting to women. And it's off-putting to voters. If these women are so concerned about vulgarity, why do they embrace it? If they're so upset that Trump supposedly reduces women to body parts, why promote that same silly thinking? The left tried to run on the War on Women in 2016 and lost. Now they're doubling down. But apparently, so long as they can pat themselves on the back for their unearned moral superiority, they'll be happy. 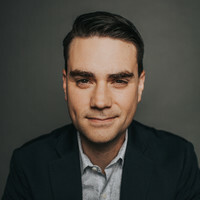 Ben Shapiro, 33, is a graduate of UCLA and Harvard Law School, a radio host on KRLA 870 Los Angeles and KTIE 590 Orange County, host of "The Ben Shapiro Show," and editor-in-chief of DailyWire.com. He is The New York Times best-selling author of "Bullies." He lives with his wife and two children in Los Angeles. To find out more about Ben Shapiro and read features by other Creators Syndicate writers and cartoonists, visit the Creators Syndicate website at www.creators.com.